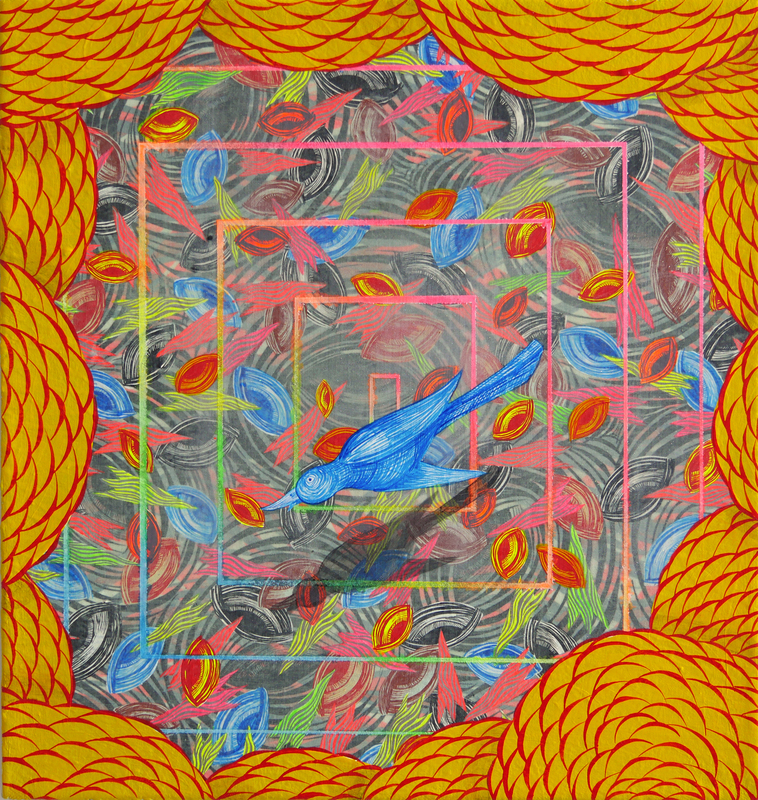 Join the free opening reception at the Marjorie Barrick Museum of Art 5-8 p.m. June 2. 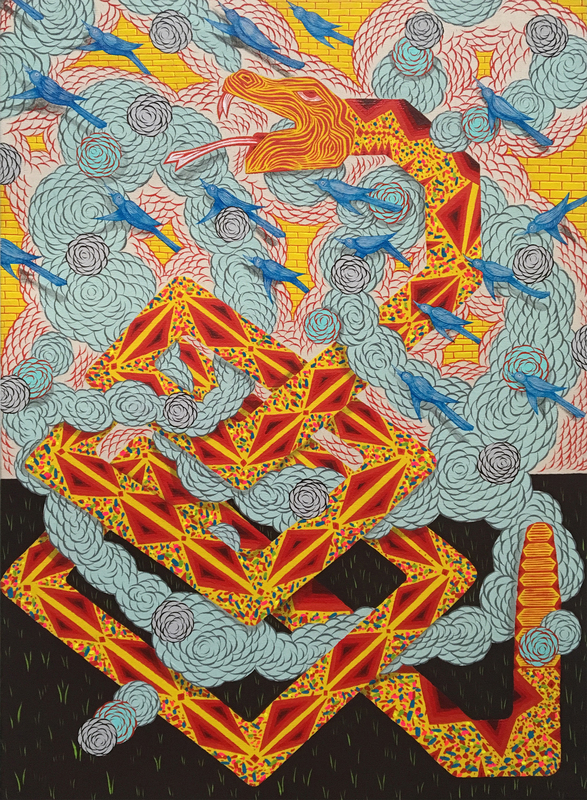 Andrew Schoultz' "Serpent in Distress"
The UNLV Marjorie Barrick Museum of Art invites you to experience In Process: Every Movement Counts, a new work and a museum-wide installation by Los Angeles-based artist Andrew Schoultz at the UNLV Marjorie Barrick Museum of Art from June 2 to Sept. 15, 2018. Fusing museum space with the dynamic energy of streets and skateparks, Schoultz makes art that asks questions about the reality of contemporary life and global power. His installations and murals juxtapose ideas from illuminated manuscripts, ancient cartography, and the flattened space of Persian miniatures. Images of beasts, bricks, trees, and eyes surge across the walls, bringing different elements of the artist’s mark-making vocabulary into play as he charts a struggle between visual clarity and complex truth. The exhibition is curated by Andres Guerrero. An opening reception will be held at the Barrick Museum 5-8 p.m. Saturday, June 2. Parking is free in student, staff, and metered spots. 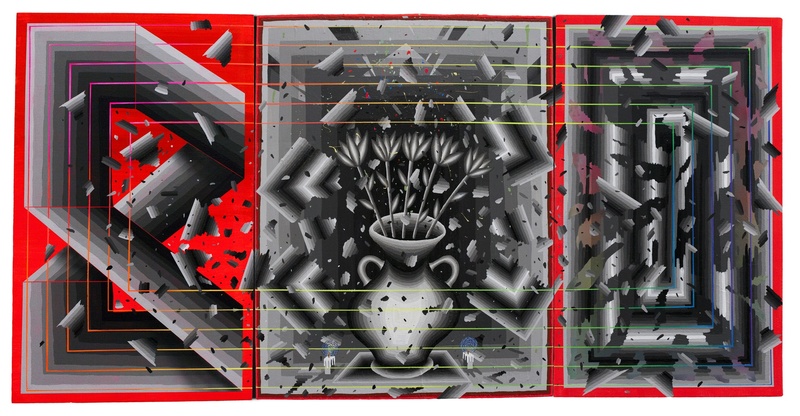 A graduate of the Academy of Art University, San Francisco, multimedia artist Schoultz has held solo exhibitions in museums and galleries throughout the United States and Europe. His public murals are visible on walls in Manila, Philippines, and Jogjakarta, Indonesia, as well as on skate parks, an airplane, and a Tesla. Schoultz’s work is held in the collections of numerous institutions, including the San Francisco Museum of Modern Art, Los Angeles Contemporary Art Museum, the Museum of Contemporary Art, San Diego, and the Honolulu Art Museum. His latest skatepark redesign took place here in Las Vegas, where he painted the Clark County Winchester Cultural Center Skate Park in partnership with Clark County and the Marjorie Barrick Museum of Art. The Barrick Museum and Winchester Cultural Center hope this collaboration will bring enjoyment to skaters, families, and visitors for years to come. During the course of Andrew Schoultz: In Process: Every Movement Counts, the Barrick will offer two free community art days 9 a.m. to 5 p.m. on June 22 and Aug. 3 with creative activities and live performances for all ages.